– Joanne Pender, February 2019. During the people’s resistance against injustice in the North of Ireland, it was said that ordinary people did extraordinary things. This could be said of socialist Joanne Pender, originally from the Curragh Camp but now living in Kildare Town with her husband and two children. The official launch for Brian’s election campaign for the Local Elections which will take place in May 2019. The launch is on from 7.00pm to 8.30pm in The Mill Theatre in Dundrum on Sat, Nov 17th. Clare Daly TD and MIck Wallace TD will be in attendance as special guests. Food, music and drinks in The Eagle after the launch for those that want them. A political activist since 1989, this is Brian’s first time running for public office. Probably no other candidate in the Dundrum Local Electoral Area has been involved in so many progressive political campaigns over such a long period of time. The following appeared in the very first issue of the Irish Republican Socialist Party’s paper, The Starry Plough. in April 1975. 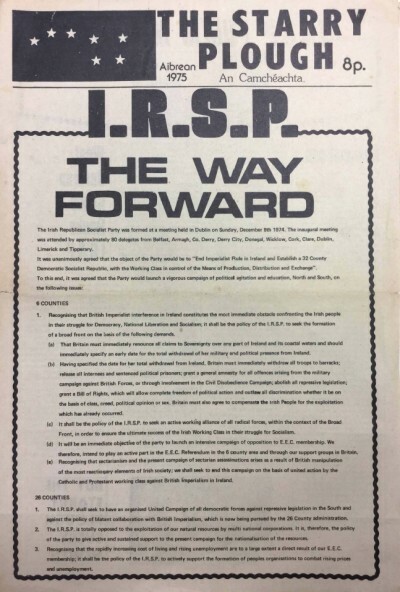 The IRSP was founded on December 10, 1974. A military organisation, the Irish National Liberation Army, was founded at the same time. Q. What caused the present feud between the IRSP and the Officials? 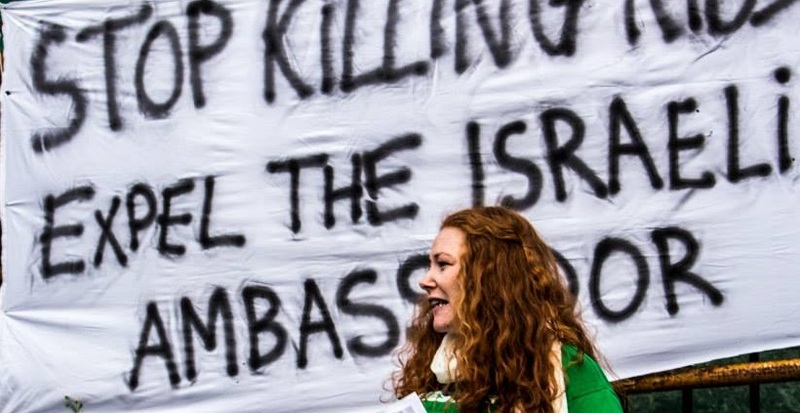 As far as we can see, it is the fact that the IRSP is undermining the Officials organizationally, particularly in Belfast where the feud is most intense. During the past 3 or 4 months, since the party was launched on the 12th of December, the IRSP has taken some 200 members from the Officials in the Belfast area. This has led to a situation where, at the moment, the Officials in Belfast have only half the numerical strength of the IRSP. As a result of this, a request was made by the (Official) Sinn Fein Ard Comhairle to the Official IRA to prevent the organization of further IRSP branches in the Belfast area. Immediately after this request, starting on Dec. 12th, a number of our members were kidnapped in the Belfast area. From then until the murder of Hugh Ferguson, we have had dozens of people kidnapped, people beaten up, people wounded through shooting, houses petrol bombed, cars burned and so on. Undoubtedly the immediate cause of the feud is the fact that the Officials are losing members. Q. What are the main ideological differences between the IRSP and the Officials? The principal ideological differences would be their attitude towards the National Question as against our attitude. Basically, the position of the leadership of the Officials is that there is no hope of achieving National Liberation until such time as the Protestant and Catholic working class in the North are united and therefore there is nothing which can be done in political terms or in any other terms about this particular issue. Our attitude, on the other hand, is that the British presence in Ireland is the basic cause of the divisions between the Protestant and Catholic working class in the North. It follows from that, in our view, that the primary emphasis should be on the mobilization of the mass of the Irish people in the struggle for National Liberation. We believe, also, that the left in Irish politics should play a leading role in this struggle. Up until recent years, many of us felt that the Official Movement was capable of and willing to do this. Indeed the rank and file of the Official Movement had expressed their views on this at the 1972 and 1973 Ard Fheiseanna, where they rejected the position of the national leadership on the national question and put forward a policy which would have led to a more militant approach on this question. However, the leadership disagreed with this policy and deliberately frustrated its implementation. 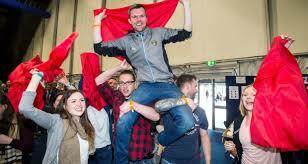 The result of this was that the Official Republicans, who, at that time, were the largest single body of organized left-wing opinion in Ireland, deliberately divorced the working class struggle from the national struggle and gradually degenerated, taking a reformist position on a number of very important issues. Q. What issues in particular? 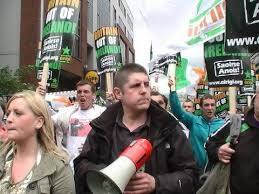 Below is the speech delivered by Jim Lane at the commemoration for Seamus Costello on the 5th anniversary of his murder by the pro-Moscow ‘Official’ IRA. 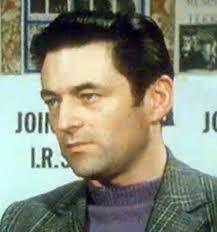 Jim was a member of the central leadership of the IRSP at the time, becoming its national chairperson in 1983. The speech was delivered at Seamus’ graveside in Bray on October 3, 1982. The original text had some very large paragraphs. I have broken these up, simply to make it easier to read. None of the text has been changed. Special thanks to Mick Healy for passing the original text on to me and suggesting I put it up here. Gathering beside the graves of our patriot dead is a long-established custom for Irish revolutionaries. In doing so, we honour our dead and seek strength and inspiration to help further the cause for which they struggled. Such strength and inspiration derives not alone in recalling the deeds of our dead patriots, but also in restating and clarifying our political philosophy, in terms of existing conditions. The deeds of our dead comrade, Séamus Costello, republican socialist and founder member of the Irish Republican Socialist Party are legion. This year in a fitting and timely tribute, such deeds have been recorded with the publication of a book by the Séamus Costello Memorial Committee. For an insight into the contribution that Séamus made to the revolutionary socialist struggle in Ireland, it is required reading, guaranteed to strengthen our resolve and provide inspiration. Therein can be found not alone an account of his life, achievements and writings, but an excellent collection of tributes from his friends and comrades. No words of mine spoken in tribute could match theirs. Nora Connolly-O’Brien, recently deceased daughter of Irish socialist republican martyr James Connolly, considered him to be the greatest follower of her father’s teachings in this generation and hoped that his vision for Ireland would be realised in this generation. Excellent talk and discussion period – Ronan Burtenshaw at the James Connolly Forum in the little city of Troy, in New York state in March 2017. Troy, of course, is somewhere Connolly himself lived and organised – thus the name of this working class political forum group. Below is a fascinating piece on the impact of partition on County Donegal (Tir Connaill), which I’ve taken from the 1916 Societies site. I’ve altered the title, corrected some typos and tenses etc, changed ‘Northern Ireland’ to six counties, and added some subheads, but the overall text has not been changed. I don’t agree that simply unifying the six-county state and the 26-county state would solve much, because the national question is inseparable from the socio-economic system of capitalism. (I know Finnian is not a supporter of capitalism, either!) The solution to the national question isn’t the merger of the existing states, as the Shinners suggest, but the solution on the national, social and economic issues through the establishment of an all-Ireland workers’ republic. Also, none of the major parties, North and South, really want an end to partition. Sinn Fein would argue it really does, but so far they seem happy enough helping manage partition. In my view, only the mobilisation of the mass of the Irish people can end partition and the masses can’t be mobilised unless they are convinced the result will be something better – which is also why the national question and the class question are completely interlinked. 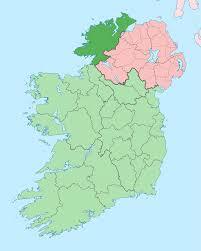 As a child growing up in 90s Ireland in Tir Connaill/Donegal, I was raised on the fringes of the conflict that went on in the North, never knowing it’s full effects and only seeing TV news or glancing at papers my father and mother were reading. On school trips we would rarely go into Derry and when we did, I noticed a slow down of the traffic. I soon realised we had reached the border, being checked by cameras on the road to be searched for bombs or guns. Being looked over by men in army gear and unfamiliar police uniforms. This is actually two years old, but I only just came across it. 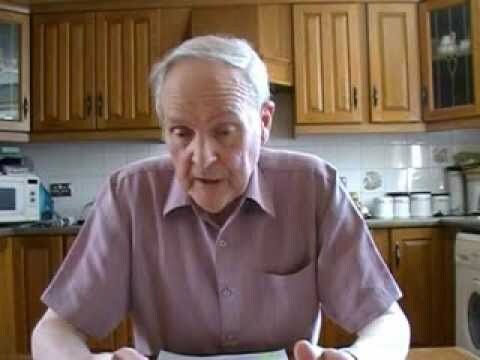 It is a talk given by Willie Gallagher to the 2014 Irish Republican Socialist Party ard fheis in October 2014.
the difficulty I had when first asked to give this presentation was ‘how do I condense 40yrs of our history into a 10 to 15 minute presentation. A definitive and detailed account would take many months, if not years, of research as well as interviewing scores of past activists. The following account is my no means definitive and of course is subject to criticism given the fact that it is laced with my own personal opinion and interpretation. Even though this year is the 40th anniversary of our birth the Irish Republican Socialist Party can trace its roots back to James Connolly and the Irish Citizens Army. After the border campaign in the 1950s, serious debate took place within the Republican Movement about how exactly it could become more relevant to the everyday needs of the people in an Ireland vastly different from the times of Connolly and the ICA. 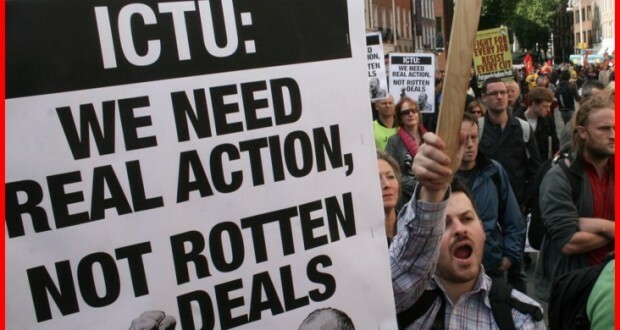 It seems a long time now since trade union members in the south of Ireland voted to reject Croke Park 11, a deal promoted by leaders of the Irish Congress of Trade Unions in partnership with the Fine Gael/Labour coalition government in Dublin. The current coalition, like the Fianna Fail/Green coalition that preceded it, has sought to make southern Irish workers pay for the financial crisis of Irish banks and the meltdown of the so-called ‘Celtic Tiger’ economy. For several decades the bulk of the union leadership has pushed tripartite deals with the bosses and the state, a ‘partnership’ model which has been held up by union leaderships as far afield as New Zealand as worth emulating. But these tripartite deals did not deliver to workers even during the ‘good times’ of the ‘boom’ periods in the 1990s and early 2000s. Now the boom has turned to bust the partnership model has simply locked unions into accepting responsibility for the financial crisis and agreeing to the austerity measures demanded by the Troika. The piece below is taken from a facebook commentary here. Well done to People Before Profit capturing seats in West Belfast and Foyle. I don’t think anyone can doubt the sincerity of Eamonn McCann and Gerry Carroll and their solid record on a range of issues including, in Eamonn’s case, the rights of prisoners, such as around the Marian Price case. Gerry Carroll’s result, topping the poll in what has long been the Provos’ strongest area, is especially impressive. And what a shot across the bows of New Sinn Fein this is. So much for the invincibility of their hold on West Belfast. And so much for the invincibility of the Adams strategy. It’s also good because it shows there is a significant space to the left of the NSF constitutional nationalists. NSF may be able to take over part of the old Stoop Down Low Party vote – namely, by becoming the new stoop-down-low party! – but they are now hemorrhaging support from the old republican base. On the elections in the south. . .
I’ve written an article on how the southern elections will confirm the new political cycle in Ireland. it appears on the NZ-based Redline blog: see here. Comments Off on On the elections in the south. . .